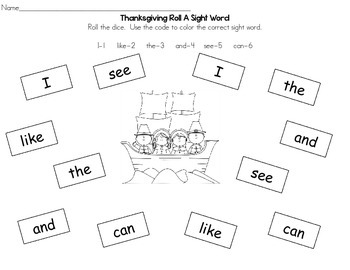 Four Thanksgiving themed sight word mats with 6 sight words on each. Print mats and run class sets of each one desired. Place a dice with each set. 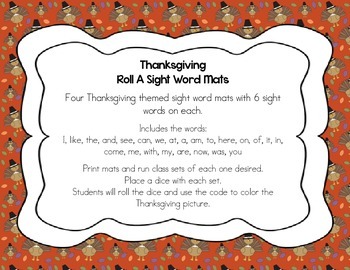 Students will roll the dice and use the code to color the Thanksgiving picture.